Do you dread the effort it takes to develop performance plans and later on conduct reviews of your staff? 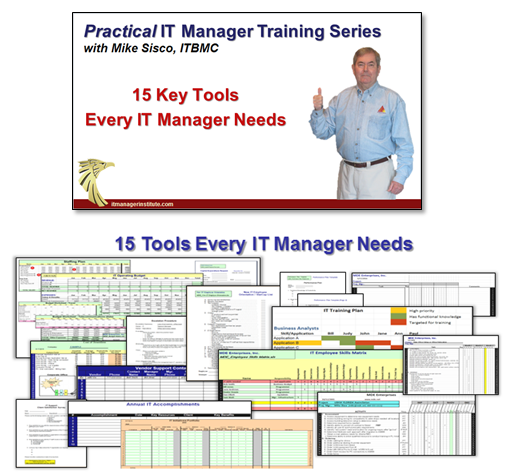 Most IT managers don’t do it unless they are in an environment where it’s required. If you are one who doesn’t conduct formal performance planning sessions and reviews, you are missing one of the most valuable opportunities you have to define and coach your employees to improve your team’s performance. 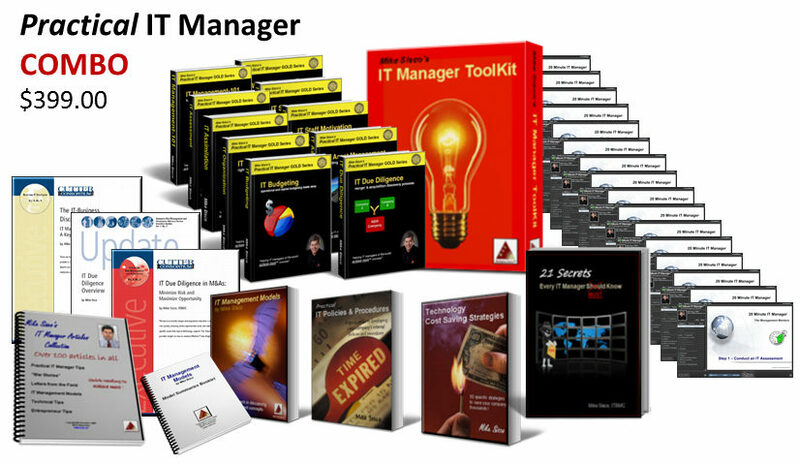 The most direct reports I’ve ever had was 25 although I’ve managed much larger organizations. All your direct reports need plans and reviews. With 25 direct reports, that meant I had an average of two plans and two reviews a month to do. That’s quite a lot of effort when you consider all the other things you need to do over the course of a month. My approach to help in my own productivity has been to develop a template for each employee type such as a programmer, application specialist, manager, computer operations, etc. When you have a lot of employees and many have similar responsibilities such as programming, you don’t need to develop a performance plan from scratch every time. In fact, you can develop a unique plan for each employee by starting with the same template. Let’s use a Programmer Performance Plan as an example. Start by developing key performance points for each category until you have a standard Programmer Performance Plan Template. Once you have the standard, save it and use it as the starting point for each new plan you develop for individual programmers. Every employee is different and has different strengths and weaknesses. A performance plan needs to be individually tailored for each person to take advantage of his or her strengths and to help them improve in their weaker areas. My approach is to start with the standard programmer performance plan template and read through each performance point of a category and then add, modify, or delete parts that are needed to develop a plan that fits the employee being worked on. You can add additional focus points that are needed for this particular employee to pay attention to and emphasize key points of the plan. The goal is to ensure that your plan focuses in like a laser beam to give the employee the specific areas important to pay attention to. Do a solid job and half your management battle is taken care of. There are three ways you can emphasize a performance item within a category of the plan. Elaborate on what you expect in writing. Increase the importance weighting to a higher, more important level. Emphasize the issue in your discussion when you give the plan to the employee. The performance evaluation weighting factor is used to emphasize the importance that you want to place on each issue. I normally weight items with a 1, 2, or 3 level rating with “1” being the most important. You can use any system you want but be sure to use something to place importance on the key issues you want your employee to focus on. Delivering the plan is an excellent coaching opportunity with your employee. Just as team meetings are important to allow you to coach the team on objectives and improvements needed, the individual sessions are just as important to reinforce what is needed to be successful. The performance planning session with your employee is your chance to “spell out” exactly what you need from your employee. It’s also an opportunity to insure there are no questions concerning what you expect from the employee to achieve successful performance. You can’t afford to miss this opportunity. Performance reviews are also very valuable opportunities to spend with your employee. In preparing for this session, I usually spend a couple of hours or more to develop a written review. Start your plan review preparation by reviewing the employee’s plan. Over the course of the year, it is helpful to maintain an employee file folder. When you coach an employee, receive positive or negative comments or documentation from users about an employee’s performance, , , make a note and put it in their file. 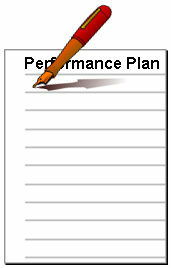 Make your comments for each of the each points in each category of the performance plan. When improvement is needed, provide specific examples of what’s taken place, , , add the improvement you need for the situation, , , and include specific steps to for the employee to take in order to improve the performance in a given area. You need to be specific; you do not want to be vague. The clearer you can make your point the more likely you will obtain the desired result. You should go back and review individual projects that the employee worked on and try to develop specific comments pertaining to your assessment of his/her performance. Place a grade value on each performance point in the plan from 1 to 5 with “5” representing Outstanding. When you are through, add up the grades and you have an overall plan total plus totals for each major category. The most important part of performance planning and review sessions is the quality time it gives you with your employee. It shows them that you have a personal interest in their individual performance versus just as part of the team. Managers who take the time to develop and conduct performance plans and reviews without being forced get more accomplished through their employees. Take the opportunity you have to do this and see if you don’t get a more focused organization. Once you have developed standards for the types of employees you have, you will find that developing individualized plans for them in the future is actually quick and easy to do. I always try to leverage my time and this is one way that you can do it while other managers are still trying to figure it out. Your employees benefit by having more focus and clarity to their job, and you and your company will benefit by the improved performance. 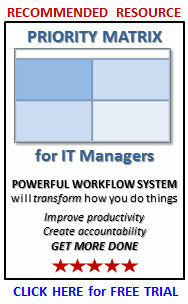 Three Performance Plan Templates are included in the IT Manager ToolKit.